This church closed in the 1980s and the building changed to retirement flats. To add, possibly, to the local history society's info on this church, my father, Clifford Whitehead, A R C O , was organist before the second world war, and during it, though was unable to continue after the church was bombed and though not visibly damaged!!! it seems the organ was put out of action for a while. The congregation worshipped at the nearby Methodist church, in the High Road ( where my mother was choir mistress! )for a year or two. ( I was very young, don't remember the dates! )The church was eventually used again, and the organ repaired, partly by my father, who was passionate about it, and very knowledgeable. My sons were born in 1961 and 1964, and my father used to take the elder son to the church to 'play'the organ, and to listen to him play. He (Grandad) composed several hymn tunes used by the congregation. On his retirement his choir had a small model of the organ made for him, to use as an ornament! My parents split up, so I have no more details! 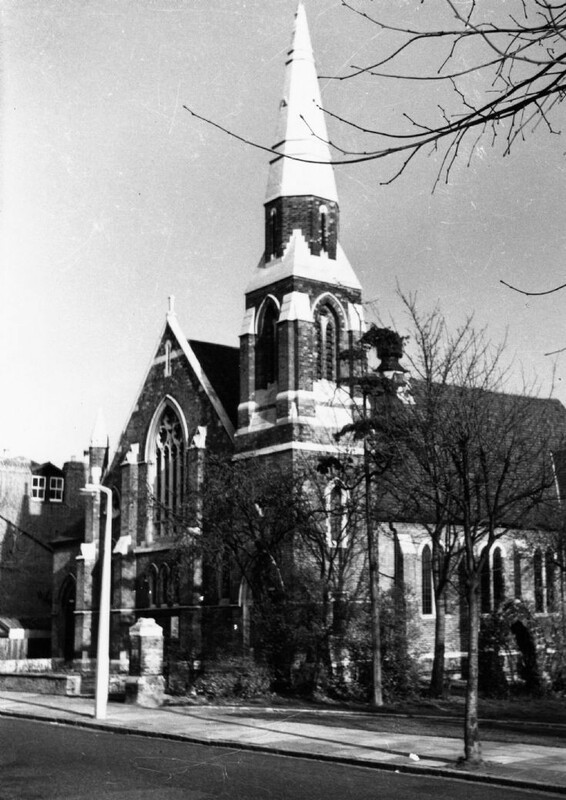 The church members worshipped, initially, in the Friends' Meeting House in Waterfall Lane, that is, in the immediate aftermath of the bombing. I went to the church in the late 40s and in fact was married there in 1956. The bombed hall site was cleared and the church youth club used the nearby Friends Meeting House. I would have thought that the presentation clock did not survive the bombing. I remember Rev Howells very well. Graham...were you the Graham who knew Geoff Smith and Adrian Gray? Have you news of Adrian and Jean.